When Alex Honnold walked into La Sportiva at Ziano di Fiemme, he was one hour late, he looked tired and a bit bewildered. Probably jet-lagged. Or maybe driving on an Italian road when you’re used to driving in the States is very difficult. Even if you have climbed Freerider on El Capitan on your own and without a rope. «I’m sorry, I’m not used to driving on Italian roads, they are really narrow and people drive so fast. It’s dangerous. And then the cars have no automatic drive and I’m not used to a manual gear shift». Alex walked into the company’s hall of fame and was greeted with emotion and enthusiasm, there was a round of introductions and hand shaking and a bit of genuine embarrassment. Everyone was happy he was there. What are we going to do with Honnold now? In La Sportiva’s entrance hall, ninety years of work, passion, mountains, and craftsmanship are summarised on eight panels. Alex was curious and took a look. In case you hadn’t noticed the heart of the word artisan is art. Italy is the country of art. Making mountain shoes has something to do with art, if this weren't true, mountain shoes would be made somewhere else in the world, and yet almost all of them are made here, in this restricted area in the Northern Italy. A visit to the production line was suggested and he was enthusiastic, after a coffee at the vending machine he recovered from being legged and from the shock of driving on Val di Fiemme’s state road. But between you and me, the Val di Fiemme road is not that narrow. Honnold said he had never visited a climbing shoe factory before and that he was very curious to take a look. The space which separates the entrance hall from the production area is only a few centimetres wide, as thick as the wall that divides it, twenty or so centimetres. You open the fire door and you are inside, into the heart of the factory. As soon as you walk in, you can smell that aroma of glue and hear the noise of the suction fans and the machinery, the buzzing of the sewing machines and the sound and cadence of the cutters. It’s like an orchestra which plays its music keeping its own time. The rhythm is that of a production line. Honnold and all the others accompanying him walk along the corridors which run along the factory floor and many workers raise their heads to look over. Hanging on the factory walls are posters of the great climbing champions of the 80s and 90s who have made La Sportiva’s history: Stefan Glowacz, Didier Raboutou, Robyn Erbesfield, François Legrand, Ron Kauk, Manolo, there is no poster of Honnold. Yet. There are expressions on people’s faces which ask the following question: is that Alex Honnold? His recent solo ascent on El Cap has made him famous and recognisable even in Europe. «That American who climbed that monstrous route on El Cap without a rope, do you remember the name?». «Not the route, him! What’s his name?». Rumours have it that Honnold is visiting the factory and word spreads quickly in the production area and the workers who see him, nudge each other. Others instead just give a quick glance, they are busy working on the production line and cannot be distracted. 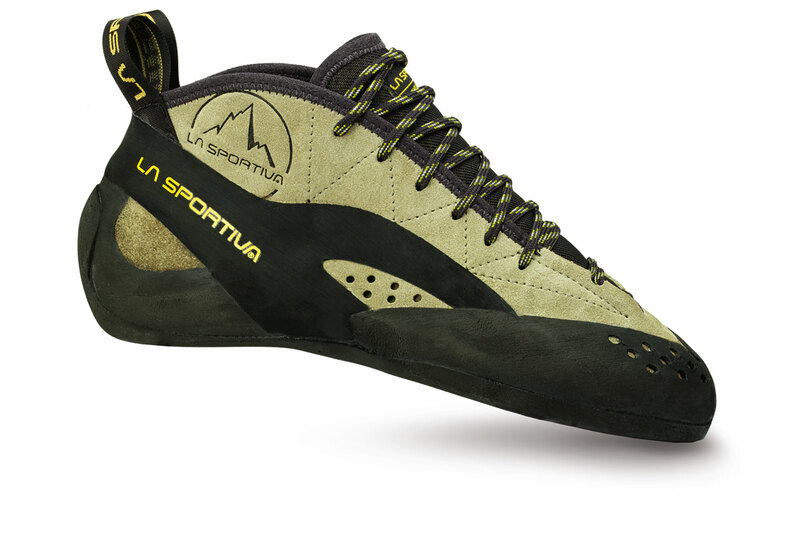 La Sportiva’s industrial history is the same as climbing history, thinking about it, the only thing that comes between a climber’s hands and feet while he or she is climbing on a rock face is, in fact, a shoe. A few millimetres of material that separate a portion of the human body from the universe of neuro-sensorial perception from the rock. Rock. Uppers, leather, laces, rubber, shoe. Foot. Leg, heart, brain. Alex Honnold is astonished by the production line and seeing all those people at work, all those different step, as it turns out he had no idea that it was such a complex hand-made operation, for the most part consisting of manual work. «I had never really thought about it. I thought that it was an industrial process, something which was a bit more automatic. For example: there is a machine which makes these shoes, you put the material inside, the glue, the rubber, you press a button and boom, the shoe comes out. Well not exactly like that, but really: I had never realised. The shoes are practically hand-made, one at a time, a piece at a time. It’s crazy». The La Sportiva workmen accompanying Alex listen to what he says, they are a bit surprised and amused, but they get it, if you’ve never been to a handcrafted shoe factory, if you’ve never thought about it, the production area of a shoe factory is an astonishing place. One tends to consider the production of a shoe as an industrial matter, made up of machines and equipment, but that is only partly true: it is mainly a question of craftsmanship and skill. Of workmanship. Of know-how and experience. In other words, all those things that, added together in a process, are involved with art and craftsmanship. Honnold asks loads of questions, he finds out about the quantity of production, the number of shoes that come off the production line every day and asks if it is possible to see his favourite shoe being made, the TC Pro. It’s his lucky day the TC Pro is one of the shoes the production line is working on today, the other line instead is close by, producing the high altitude boot, the Olympus Mons Evo. «High altitude is not for me», says Honnold while he places the just-finished Olympus boot onto a trolley, and moves towards the other line, the TC Pro one. It’s a serious blow for Alex to discover that his favourite shoe, the one with which he climbed Freerider, in Europe, is not one of our top-selling shoes. It sells more in the United States and in the countries where they climb mainly on granite or on cracks. Among the shoes which are currently the best-selling in Europe you have Katana and Solution. Honnold seems to be both convinced and disappointed by this information. It’s what logic suggests, even if it’s not what one would instinctively imagine. After another few stops and photos in the production area, after visiting the shoe lasts and the assembly production line for climbing shoes and high altitude Olympus boots, Honnold and the group of La Sportiva people with him finally reach the finishing workstation for the climbing shoes. Watching the machines and the men at work, following the steps and understanding the phases and the sequences is hypnotizing. And it casts a spell. You feel like staying there for hours, enveloped by the noise of the machines, the smell of glue and the precision with which the workmen’s hands carry out their work. The carding phase is the operation when the sole which is glued on and pressed onto the lower part of the uppers has to be milled and refined with absolute precision to create the lateral edge of the shoe, Anna Scarian, who is also a climber, is at work and shows Alex Honnold the various passages of the production. It is a decisive moment for the shoe’s creation, it is the exact moment when the rubber sole, is transformed from a rough object to a sporting tool of great quality. The precision with which the shoe is refined and carded defines the technical qualities and the entire shoe’s performance. The side edge of the sole must take a shape, an angle and a precise curvature. It must be perfect and function in harmony with all the other parts of the shoe, it is on that portion of rubber squeezed onto the rock that all of the climber’s weight ends up. In climbing it is exactly on those few millimetres which connect the human body and the rock that the progression of difficulties is gambled and the possibility to hang off the rock and to conquer gravity occurs. It is exactly during that moment that Honnold, while he observes Anna working, thinks of that traverse on those smooth slopers found on Freerider. He talks about it trying to focus on that thought. «During a solo ascent, details mean everything. Hands and feet. When I say feet I mean: shoes. For my hands I sometimes use a glue which dries the skin on my fingers and it must be neither too dry nor too damp. It must be just right. If my skin is too dry, you can’t trust the holds because you don’t feel them properly and you are forced to pull off your arms more than you really need to. You waste loads of energy, it’s just not good. If your skin is too moist instead, if you sweat and slip, chalk isn’t enough. You don’t trust anything the way should because you’re afraid to miss the hold. The finger skin has to be right, not too dry, not too wet. For the edge of the shoe and the shoe, and for what you feel through your feet, is exactly the same thing. If the shoe is too new and the corner too sharp or the uppers too hard and it still hasn’t formed around the shape of your foot, you cannot trust it. You just can’t. If the edge is too worn out and the uppers too short, if you don’t feel the shoe fit perfectly around your foot, you just can’t trust it. The day before climbing Freerider I went to try out my TC Pro, a pair of shoes which I had prepared specifically for the ascent. They weren’t new and they weren’t too worn out. I needed a pair of climbing shoes that would allow me to feel good on the traverses and on the slab sections. When you’re climbing a crack you can wedge your hands and feet and it is not as difficult to feel safe, but on a slab where your hands and feet can only lean and push on the rock, the shoe has to be perfect. Everything has to be perfect when you climb without a rope. Right. If you climb with a rope all this can be enough, the skin on your fingers and shoes are allowed to be only ok, but if you climb un-roped or if you are truly climbing at your limit, ok is simply not good enough. I just cannot explain what perfect means, it is something you can’t explain in words, there is no way to measure perfection, it is your body which explains it to you. Every climber knows what I mean. Your body feels things, foot and brain talk to each other, when everything is under control, when foothold and grip are what they should be, you can concentrate on the next move and then go onto the following move. This is what climbing is all about: it is thinking, but with your body». The TC Pros are lined up one after another on a trolley, as they are produced. The edge of the shoe is perfect just looking at it, almost sharp. It’s right, just as it should be. Just the way climbers want it. It is not written anywhere how the shape and edge of a shoe should be. There is no machine or robot guiding the workman’s hands, there are human beings with their sensitivity and their own art. At La Sportiva the number of employees working on carding are 6 altogether. Producing a shoe is team work, everyone has their own task to carry out. The production line is a gigantic being which is alive and continues to churn out shoes, pulsating to the rhythm of the workers, to the sound of the sewing machines and the noise of the blows of the cutters, which spread their noise around. After Honnold’s words, for a few seconds nobody has the courage to say anything, we all remain in silence. During this account of his experience it’s as if we had all been standing on that difficult traverse with him, a few hundred metres up high on Freerider and on El Capitan’s wall. At the end of the day that is also what being part of a roped party means.